The last of the big savings on the Astra hatchback are being served up by Motorpoint. The car supermarket giant is offering a wide range of 09-Reg models with low mileage for nearly 50% of the price of the new version, which went on general sale last week with prices starting from £15,520. If you're torn between buying a new-shape Astra or an old-shape with a discount, Motorpoint has some food for thought. For example Motorpoint is selling the Vauxhall Astra 1.6i 16v Life  for £8,999 – a saving of £7,619 on the new shape model*. 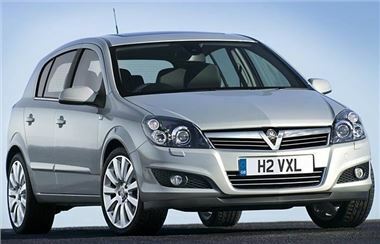 Alternatively, it has the Vauxhall Astra 1.7 CDTi 16v Life for £9,499 – a saving of £8,672 on the new shape model*. What’s more, anyone purchasing a vehicle at any one of the company’s five sites around the UK using one of Motorpoint’s in-house finance packages is eligible for up to three year’s worth of FREE roadside assistance worth over £250.